Drastically cuts down drying times when using a Mytee extractor! 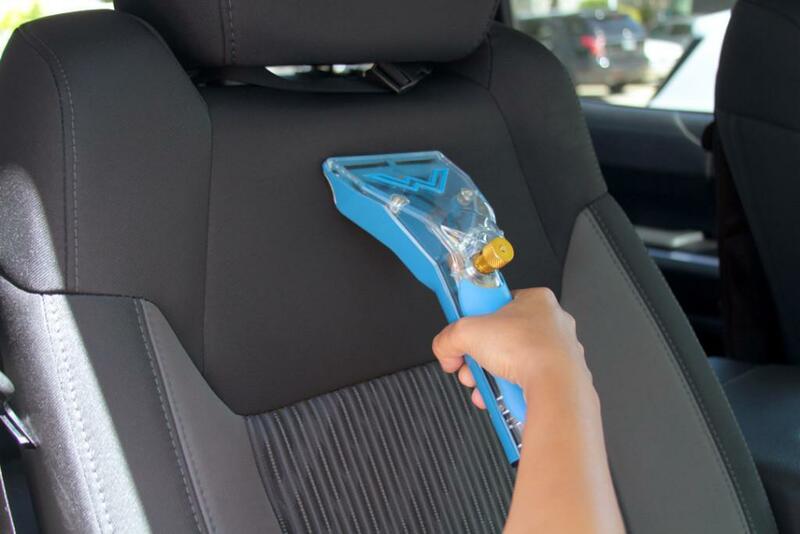 If you have a Mytee extractor and are looking to remove contamination and cut drying times drastically, the Mytee 8400DX Dry Upholstery Tool is your answer! This tool attaches to any Mytee extractor with ease and allows you to tackle any cleaning job that is thrown at you. To start, attach the vacuum hose and solution mine to the machine. Make sure to turn on your extractors vacuum first, then the pump, and if available the heater last. 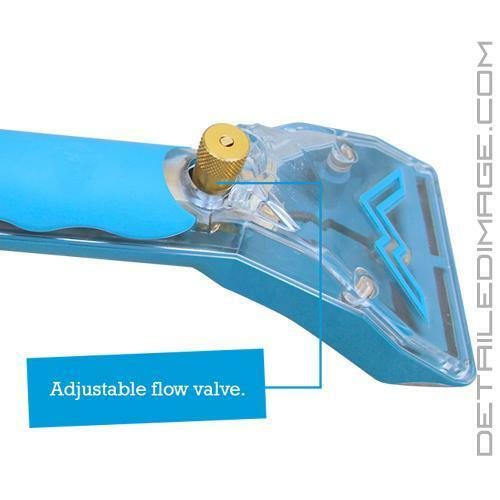 The easy access flow valve allows you to adjust for the perfect moisture level. With the slight turn of the thumb clockwise you will see less moisture for light or delicate cleaning jobs and counterclockwise will provide you with more moisture, for heavier cleaning jobs. 8400DX has dual vacuum slots and a stainless steel spray bar (with 22 individual spray orifices) on the face of the tool. This provides you with higher levels of air flow, helping you to achieve faster drying times and more efficient overall cleaning. 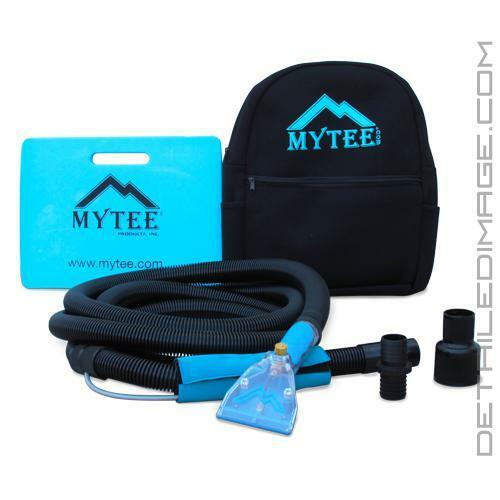 During cleaning, Mytee recommends back and forth motions and the clear top head will allow you to see all of the dirt and grime being removed from the surface. 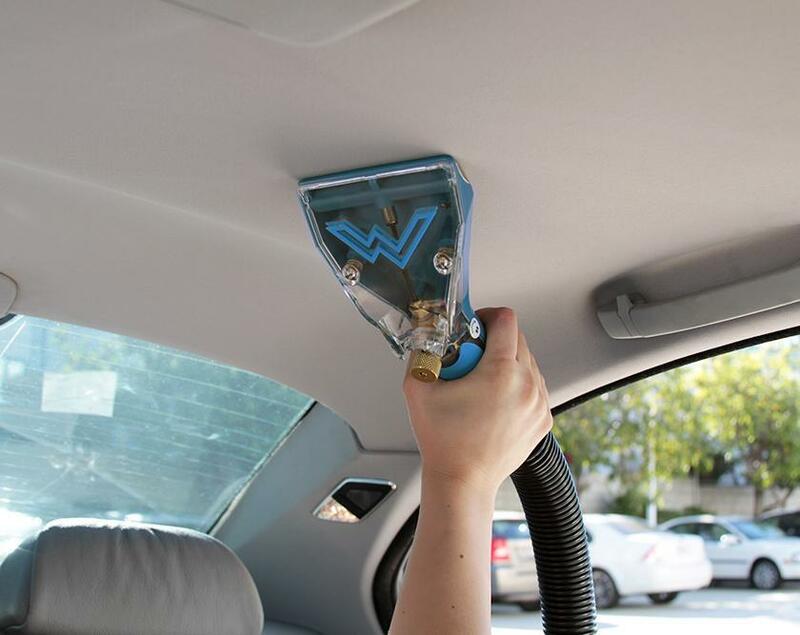 Easily clean headliners, seats, and car mats without cleaning a second longer than needed! You can also use this tool, and your Mytee extractor, around the house on pillows, chairs, sofas, curtains, mattresses, etc. 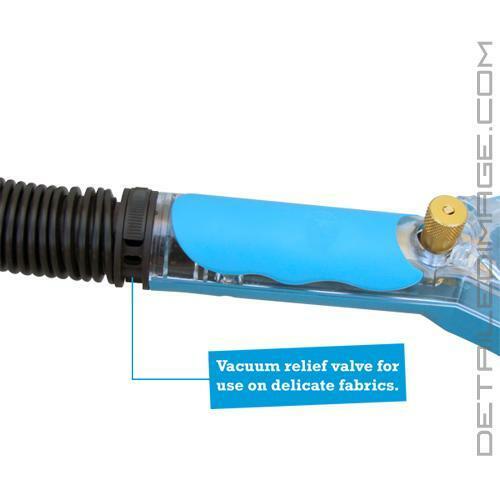 The 8400DX Dry Upholstery Tool comes with a water resistant carrying bag, kneeling foam pad, Cuff-Lynx hose connector, heatguard hose wrap, Snap-n-Lok Cuff Lynx, a 1.5" barbed vinyl cuff, preinstalled high velocity glides, and a flexible 15 foot vacuum and inter-solution hose combo. Take your cleaning to the next level with the Mytee 8400DX Dry Upholstery Tool! Pro it works nice ... con it uses tons of water.